Many fans of this television season's biggest breakout hit, "Empire," are surely going to watch Wednesday's finale "live," at the very moment it's premiering on Fox. But "Empire" didn't start out that way. Much of the credit for the show's success must be given to on-demand TV options that barely existed a few years ago. There are half a dozen ways to watch "Empire," and all of them have contributed to its total audience of 20 million a week. Picture a tree: What's seen above ground are the overnight ratings for "Empire." That tree has been sprouting -- showing growth with each passing week and wowing the whole television industry. What's unseen, below ground, are the roots -- the on-demand viewership. Early in the season, nearly half of the show's total audience was watching sometime after the Wednesday night premieres -- days and even weeks after. "Empire" has been the No. 1 TV series on Comcast's video-on-demand system ever since it debuted in January. The cable provider's latest weekly chart, on Tuesday, was titled "'Empire's' on demand dominance continues." To be sure, "Empire" had a surge in live viewership from the very beginning, thanks to a strong marketing campaign and its A-list stars Terrence Howard and Taraji P. Henson. The first episode had 9.8 million viewers right out of the gate, according to Nielsen's overnight ratings. Analysts said it was propelled by African-American viewership. But the live viewership was just the start. Fox's data for the first month of "Empire" -- the first four episodes -- demonstrates how it all breaks down. The first four episodes, on average, had 10.7 million viewers who watched on premiere nights, either live or with digital video recorders within a few hours of the live airing. The four episodes had another 8.5 million viewers who watched on-demand. And the episodes gained another 1.3 million viewers thanks to televised repeats. So the audience nearly doubled after premiere night. Some of this catch-up viewing, about 3.1 million viewers' worth, happened within three days of the premiere, using either a DVR or a cable video-on-demand system. Another 700,000 or so viewers used a DVR to catch up four to seven days later. Here's the most eye-opening statistic: 2.2 million viewers of the first four episodes used video-on-demand systems to catch up 4+ days later. This is way-delayed viewing, the kind that's historically not very valuable to advertisers. But the advertising landscape is changing as companies begin to insert fresh ads into old episodes. The remainder of the 8.5 million time-shifters, 2.4 million, watched via Hulu or FOX NOW, the network's streaming service. That's another significant stat: It means more than 10% of the initial "Empire" fan base were streaming it. 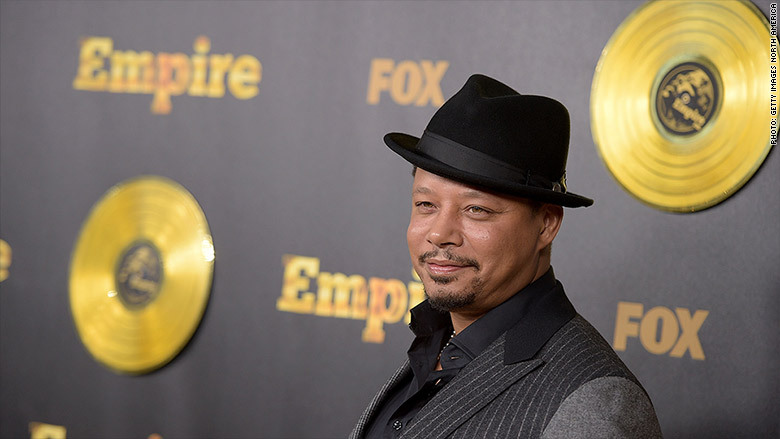 Each week, the premiere-night audience for "Empire" grew. It's now up to about 15 million viewers, and will likely go even higher on Wednesday night. How much of that is due to time-shifters who are now tuning in live? It's hard to say for sure. But for Fox executives, "Empire" is one of the shiniest examples so far of a trend that emerged just a couple of years ago: time-shifted viewership of old episodes translating into higher ratings for premieres of new episodes. "Technology is a new show's friend," New York magazine's ratings guru Joe Adalian wrote. He noted that Fox "wisely allowed all episodes of the show to remain on VOD, rather than limiting potential catch-up viewers to just the last five or six hours." A Fox spokeswoman said apples-to-apples data beyond the first four episodes is hard to come by, since various on-demand systems provide audience totals at different times. But episode 7 of "Empire," which premiered exactly one month ago on February 18, has been viewed "more than 5.3 million times" through cable video-on-demand, Hulu and Fox's web site. The VOD total is only for 4+ days later. In other words, in mid-February, new fans of the show were still catching up on what they'd missed. Maybe some are still binging right now, just in time for the finale.